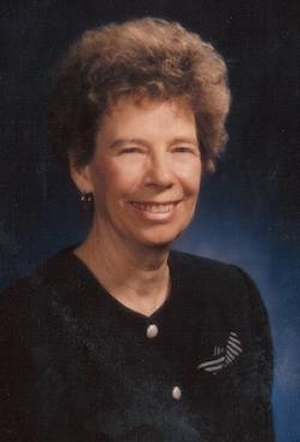 Obituary – Campbell, Shirley Ann (Skalenda) « Perry High School Alumni Association, Inc. Band Queen Business Manager 51-52, Teen-Town Council 51-53, Office Staff 50-51, Home Room Secretary 51-52, Annual Play 51-52, 52-53, Girls State 52, Teen-Town Council Reporter 52-53, Annual Staff 51-53, Assistant Business Manager of Annual 51-52, Editor of Annual 52-53, Class Assemblies 49-52, 49-52, Band 52-53. Shirley Ann Campbell, resident of Ponca City, Oklahoma, passed away Monday, September 26, 016 in Dewey, Oklahoma. She was 81 years old. Family and friends may pay their respects at Trout Funeral Home on Thursday, September 29, 2016 from 4-8pm. Funeral services will be 2:00 pm Friday, September 30, 2016 at Trout Funeral Home Chapel. Following the funeral, Shirley will be laid to rest at the Grace Hill Cemetery in Perry, OK Funeral arrangements are under the direction of Trout Funeral Home and Crematory. Shirley was born on April 17, 1935 to Edward Frank Skalenda and Irene Lenora Dowell Skalenda in Perry, Oklahoma. As a child, Shirley loved spending time at the farm in Colorado during the summer. 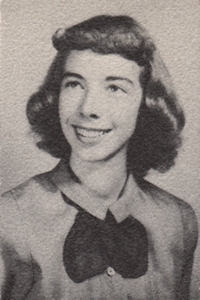 At Perry High School, Shirley was a Twirler before she graduated in 1953. She attended Oklahoma State University, graduating with a Bachelor’s degree in Accounting. After college, Shirley worked as an Accountant for many years at Conoco. Swing dancing, working in the flower beds, reading fictional novels, and playing bridge were some of her favorite activities. Shirley was preceded in death by her parents. She is survived by her daughter, Valerie Marullo and husband Keith of Danbury, Texas; two sons, Darren Ray Campbell and his wife Peggy of Barnsdall, Oklahoma and Eric Lee Campbell of Ponca City, Oklahoma; Brother, Edward Eugene Skalenda and his wife Shaaron of Ponca City, Oklahoma; grandchildren, Tara Clover, Jason Campbell, Bethany Campbell, Blake Campbell, Bandy Assiter, Kelsey Deerinwater; great grandchildren, Cohen and Crue Nix, Aubrey Campbell, and Race Deerinwater; niece, Stacey Reeves.